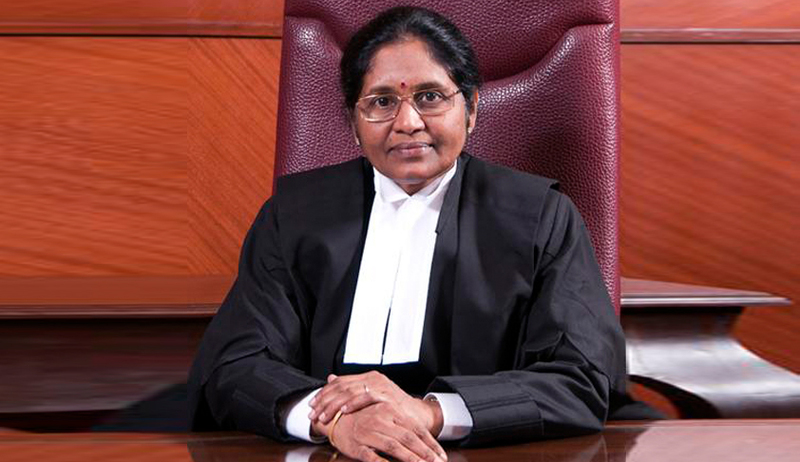 In a letter addressed to Law Minister Sadananda Gowda, Delhi High Court Chief Justice G. Rohini has reportedly justified the selections and said that he entire process was transparent and as per norms. She has considered the entire matter closed for any further investigation. Justice Rohini has clarified that even though two of the 15 qualified candidates in the Delhi Judicial Service Examination were children of two sitting High Court Judges, “they have qualified on their own and the allegations of favouritism and nepotism are unfounded and unwarranted”. She said the “allegation that the answer-sheets were evaluated by sitting judges whose sons/daughters/relatives took the exam is factually incorrect. The evaluation of answer scripts was not done by any of the sitting judges of this court”. Putting rest to the controversy, the letter that there was no ground for cancelling the selections process and that there was no rule for re-evaluation of the answer sheets. She further said that the High Court had permitted all those candidates who had applied under RTI Act to inspect their answer-sheets while ruling out any revaluation. She brought to the Law Minister’s notice that the High Court had already notified that next Judicial Service Examination and the schedule for the same had already been decided upon. Mr. Gowda has also sought details from Chief Justices of High Court about steps initiated to bring transparency in judicial services examinations in their respective states. He reportedly reminded them of the conference of Chief Justices of the High Court and Chief Ministers in April on setting up the All India Judicial Services. Last month, the Supreme Court had admitted a Writ Petition against the examination, filed by the Centre for Public Interest Litigation, through Advocate Prashant Bhushan. It had however refused to grant a stay on the selection process because the District Judge interviews are due to happen in two days from today. The Court however made the final results of the selection process subject to the outcome of the Writ. You may read the LiveLaw story here. Earlier in June, Law Minister Sadananda Gowda had written to the Delhi High Court Chief Justice G. Rohini to look into the “corruption, favoritism and nepotism” in the Delhi Judicial Services Examination that was held in New Delhi last year. Read the LiveLaw story here. Advocate Prashant Bhushan had also written to Chief Justice of Delhi High Court, Justice G. Rohini, bringing to her notice, the apparent irrationality in the result of the Main Exam of the Delhi Judicial Service, (DJS) 2014. Read the LiveLaw story here.